Our database gives you an up-to-date overview of 450 payment providers across the globe – free of charge, independent, no strings attached. Thanks to our close cooperation with the payment providers, you get the best deals with our portal. You save money and increase your sales potential. Choosing the right payment provider helps you optimize sales and cost structure. We offer free consultations. With Paylobby, we were able to increase our conversion rate by 30% at check-out. With the help of Paylobby's transparency, I found the right partner with just a few clicks. Nowadays, most e-commerce companies use one or more payment service providers nowadays. Far more than half of the online shoppers pay for their orders using e-wallet solutions, mobile payment systems or the credit cards. In order to process these, online merchants need a payment service provider. Payment service providers (PSP), also known as payment processors, connect an e-commerce company to various payment providers, such as credit card acquirers or PayPal. In addition to technical integration, PSPs often also handle transactions, negotiate with payment procedures and payout. In addition, many payment service providers offer additional services such as receivables management, subscriber management or collection. It is sometimes difficult to find your way through the "Payment Jungle" or to find the best provider. Paylobby wants to remedy this situation. In just a few minutes you will get an overview of all relevant providers and a free offer. 1. What Countries does the Payment Provider covers? Customers payment preferences vary from one country to another. Therefore an online retailer should become familiar with the methods of payment and legal requirements in a country when it comes to international expansion. There are payment providers who specialize in one country or one region and thus achieve good conversion rates in the respective countries. Other providers cover a wide range of countries and are therefore an interesting choice for international companies. When deciding on a payment provider, the current country coverage as well as the next few years expansion plans should be considered. The right online payment mix combined with the best user experience helps you achieve top conversions which will boost sales. We show you which payment providers will help you achieve that. Credit cards, direct debits, invoice purchase, debit cards, PayPal are examples of payment methods with which customers have the possibility to make payments at online shops. The prepaid cards are cards which are charged with a credit. They can be purchased online or in the shop. An e-wallet is an electronic wallet. The e-wallet is either assigned a reference account or charged with credit. 2. What Payment Methods can the Provider process? The selection of the appropriate payment methods is crucial for success. Purchase cancellation are reduced and the conversion rate are increased. The choice of appropriate payment methods depends on the targeted market, but also on the industry, the target group and the average basket size. On a worldwide average, the five preferred payment methods are e-wallets (46%), credit cards (20%), debit cards (9%), bank transfers (8%) and pay on delivery (8%). The alternative to credit cards is prepaid cards. Find out what sets this method apart from others. How does the newest payment method, E-Wallet, differentiate itself from traditional payment systems? The top 5 payment methods in Europe are debit cards (27%), e-wallets (21%), bank transfers (18%), credit cards (12%) and pay on delivery (6%). 3. What Services should the Payment Provider offer? Depending on the countries and industries a merchant is active in, he should have the opportunity to minimize his risk of payment failure by means of risk management options such as (Dynamic) 3D Secure, Blacklist, IP Geolocation, Card Data Encryption or Scoring. Extensive transaction-based reporting helps you retain the transparency of your products and processes, and will be able to exploit additional revenue and cost potentials. Customer service includes accessibility, support in the appropriate languages, as well as individual consulting in terms of conversion optimization or fraud management. Further payment services such as micropayments, dynamic currency conversion or the processing of marketplaces are elementary for individual business models and can be selected via the Paylobby comparison portal. An interview with Verena Angerbauer, Head of Payment at Travian Games. Learn how to boost your checkout conversion rate with our 5 easy tips! To protect against fraud and data misuse in e-commerce, dealers use fraud prevention measures. During the check-out process various plausibility and credit checks are used. Online merchants can refer fraud management to the services of a payment service provider or to providers specializing in fraud prevention. Minimize your financial loss and false alarms with the right tools to prevent fraud and increase your sales potential. We will find the ideal payment providers for the best fraud management for you – for computer, tablet, smartphone and app. PSPs often charge a fee for the initial setup of the merchant account. This is in the two to three-digit range. For the provision of the gateway, some PSP bill monthly charges. Fixed or percentage fees are charged for each transaction. The costs differ according to various criteria such as payment procedures, transaction volumes, products. The percentage fees usually vary between 1 and 6 percent. Within a time limit, credit card customers can contest transactions. If a customer has triggered the chargeback, the corresponding amount is credited to him. The retailer is then charged between 20 and 60 euros - regardless of the order size. In the case of international or transnational transactions, additional costs can apply. The costs of these vary according from a provider to another. If products or services are offered in a currency other than the home currency and payment is made in the local currency, FX charges for currency exchange will be charged. Those fees should not exceed 1 percent. At the exchange rate, traders should ensure that they receive a guaranteed daily exchange rate. This is particularly important for the countries that are subject to higher exchange rate fluctuations. In addition, transfer fees are charged. If the countries do not have a double tax treaty, a withholding tax is applicable. Are you looking for an easy and flexible payment solution, with straightforward and low overhead costs?” With just a few clicks, you get an up-to-date overview of the most important providers for your business. 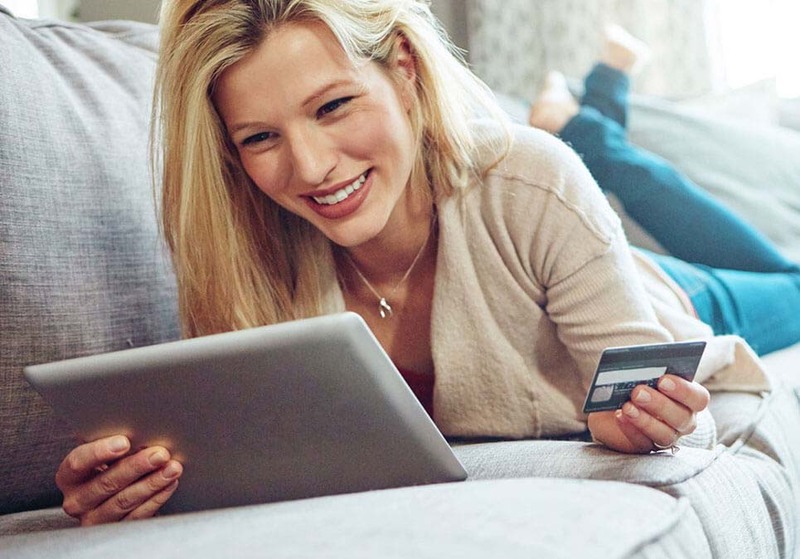 Do you need help optimizing or revising your online payment process? Are you looking for a provider who will take care of your receivables management and collection? Paylobby helps you find everything you need to know about the services of the payment providers. Do you want to accept payments from all over the world, increase your conversion rate and improve your KPI? We offer independent and up-to-date comparisons of the newest payment solutions to help you increase your sales and optimize your fraud management. The processor – also called gateway/distributor – is responsible for the technical integration of different payment methods for the online retailer. The retailer has the advantage because they only need one technical connection to offer different payment methods. They receive the payment directly from the financial institution handling the payment process. For retailers who offer only a few payment options or want to balance the accounts and payment flows themselves, the integration of a processor could be of interest. The collector takes care of not only the technical integration but also the settlement of the payments and reporting. The aggregator takes care of the contract negotiations with the financial institutions or alternative payment methods in addition to the services of the collector. Acquirers are banks or financial institutions that offer one or more online payment methods. They establish agreements with retailers concerning accepting, authorizing and settling the payment methods for goods and services and process payments.